Liquefied Natural Gas Limited (ASX:LNG), (OTCMKTS:LNGLY) through its 100% owned project company, Magnolia LNG, LLC and Meridian LNG Holdings Corporation have agreed to extend the financial close date of their legally binding offtake agreement to 31 December 2018. This three-month extension continues to allow both parties to maintain commercial flexibility. Liquefied Natural Gas Ltd (ASX:LNG) (OTCMKTS:LNGLY) provides the Company&apos;s Annual Report for the year ended June 30, 2018. Liquefied Natural Gas Ltd (ASX:LNG) (OTCMKTS:LNGLY) provides the Company&apos;s Preliminary Financial Report. Liquefied Natural Gas Limited (ASX:LNG) (OTCMKTS:LNGLY) through its 100% owned project company, Magnolia LNG, LLC and Meridian LNG Holdings Corporation (Meridian LNG) have agreed to extend the financial close date of their legally binding offtake agreement to 30 September 2018. This three-month extension continues to allow both parties to maintain commercial flexibility. Liquefied Natural Gas Limited (ASX:LNG) (OTCMKTS:LNGLY) has extended the validity period of its current binding engineering, procurement, and construction contract with KSJV for its 100% owned subsidiary, Magnolia LNG, LLC. The binding lump sum turnkey EPC US$4.354 billion contract is now valid through December 31, 2018. Liquefied Natural Gas Limited (ASX:LNG) (OTCMKTS:LNGLY) is pleased to advise that the share placement announced on 4 June 2018 has now closed and the Company has received A$28.2 million before costs from the placement of 56,444,500 ordinary shares to a wholly owned subsidiary of IDG Energy Investment Group Limited. Liquefied Natural Gas Limited (ASX:LNG), (OTCMKTS:LNGLY) is pleased to announce that it has entered into a binding subscription agreement for a Share Placement of fully paid ordinary shares in the capital of LNGL through an investment made by IDG Energy Investment Group Limited (HKG:0650), an investment holding company listed on the Stock Exchange of Hong Kong and affiliated with IDG Capital. Liquefied Natural Gas Limited (ASX:LNG) (OTCMKTS:LNGLY) refers to its announcement dated 17 April 2018 and confirms (as requested by ASX) that the buyer of the Company&apos;s wholly-owned subsidiary, Gladstone LNG Pty Ltd, is LNG Queensland Pty Ltd.
Liquefied Natural Gas Limited (ASX:LNG) (OTCMKTS:LNGLY) executed a Share Sale Agreement with a third-party (the Buyer) for the acquisition of all the shares of LNGL&apos;s wholly-owned subsidiary, Gladstone LNG Pty Ltd.
Liquefied Natural Gas Limited (ASX:LNG) (OTCMKTS:LNGLY) through its 100% owned project company, Magnolia LNG, LLC and Meridian LNG Holdings Corporation have agreed to extend the financial close date of their legally binding offtake agreement to 30 June 2018. This three-month extension allows both parties to maintain commercial flexibility. Liquefied Natural Gas Ltd (ASX:LNG) (OTCMKTS:LNGLY) provides the Company&apos;s latest presentation at Bank of America Merrill Lynch US LNG Prospects Conference. Liquefied Natural Gas Ltd (ASX:LNG) (OTCMKTS:LNGLY) submit their report for the half-year ended 31 December 2017. Liquefied Natural Gas Ltd (ASX:LNG) (OTCMKTS:LNGLY) provides the Company&apos;s latest Presentation at CWC Japan LNG & Gas Summit. The second quarter of Liquefied Natural Gas Limited&apos;s (ASX:LNG) (OTCMKTS:LNGLY) fiscal year was very active as we maintained our concentration on securing offtake for Magnolia LNG in a slowly more bullish market, and continued to progress the Bear Head LNG project. Liquefied Natural Gas Limited (ASX:LNG) (OTCMKTS:LNGLY) has extended the validity period of its current binding engineering, procurement, and construction contract with KSJV (a KBR - SKE&C joint venture led by KBR) for its 100% owned subsidiary, Magnolia LNG, LLC. The binding lump sum turnkey EPC US$4.354 billion contract is now valid through June 30, 2018. Liquefied Natural Gas Ltd (ASX:LNG) (OTCMKTS:LNGLY) provides the Company&apos;s latest Presentation at Height Securities LNG Investor Conference. Liquefied Natural Gas Limited (ASX:LNG) (OTCMKTS:LNGLY) through its 100% owned project company, Magnolia LNG, LLC, and Meridian LNG Holdings Corporation have agreed to extend the financial close date of their legally binding offtake agreement to March 31, 2018. All other provisions of the governing agreements not specifically amended by this extension remain in full force and effect. Liquefied Natural Gas Ltd (ASX:LNG) (OTCMKTS:LNGLY) provides the Company&apos;s 2017 AGM Presentation. Liquefied Natural Gas Limited (ASX:LNG) (OTCMKTS:LNGLY) is pleased to announce the appointment of Joseph B&apos;Oris as Chief Development Officer reporting to LNGL Managing Director and Chief Executive Officer Greg Vesey. The first quarter of Liquefied Natural Gas Limited&apos;s (ASX:LNG) (OTCMKTS:LNGLY) fiscal year was very active as we maintained our focus on securing offtake for Magnolia LNG in a slowly more bullish market, continued to progress the Bear Head LNG project, and wrap up our year-end activities highlighted by the distribution and filing of our annual report. Liquefied Natural Gas Ltd (ASX:LNG) (OTCMKTS:LNGLY) provides the Company&apos;s latest Shareholder Presentation. Liquefied Natural Gas Ltd (ASX:LNG) (OTCMKTS:LNGLY) provides the Company&apos;s 2017 Annual Report to Shareholders. The Board of Directors of Liquefied Natural Gas Limited (ASX:LNG) (OTCMKTS:LNGLY) has resolved to suspend all activity related to the redomicile of the Company to the United States in order to focus on current business. 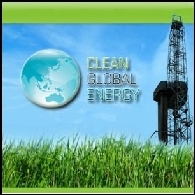 Liquefied Natural Gas Ltd (ASX:LNG) provide the North American Gas Forum Presentation. Liquefied Natural Gas Ltd (ASX:LNG) (OTCMKTS:LNGLY) provides the Company&apos;s 2017 Annual Report. Liquefied Natural Gas Ltd (ASX:LNG) (OTCMKTS:LNGLY) provides the Company&apos;s unaudited preliminary financial report for the year ended 30 June 2017. Liquefied Natural Gas Ltd (ASX:LNG) (OTCMKTS:LNGLY) provides the Company&apos;s latest Investor Presentation held in New York. Liquefied Natural Gas Ltd (ASX:LNG) (OTCMKTS:LNGLY) is pleased to announce that its wholly owned subsidiary, Magnolia LNG LLC, has executed a Servitude Agreement with Turners Bay, LLC, a Louisiana limited liability company, for the right to deposit dredge spoils on certain tracts of land located in Calcasieu Parish, Louisiana. Liquefied Natural Gas Ltd (ASX:LNG) (OTCMKTS:LNGLY) provides the Company&apos;s Quarterly Highlights and Appendix 4C for the period ending 30 June, 2017. Liquefied Natural Gas Ltd (ASX:LNG) (OTCMKTS:LNGLY) invites shareholders and other interested parties to join a conference call with Greg Vesey, Managing Director and CEO of LNGL, and Michael Mott, Chief Financial Officer of LNGL. Vesey and Mott will discuss the recently amended equity commitment agreement with Stonepeak Partners LP that was previously released to the ASX on 5 July 2017. Liquefied Natural Gas Ltd (ASX:LNG) (OTCMKTS:LNGLY) is pleased to announce that certain of its wholly owned subsidiaries have entered into an amended and restated Magnolia LNG equity commitment agreement with Stonepeak Partners LP and have updated the associated Magnolia LLC Agreement. The amended ECA and LLC Agreements replace the existing Stonepeak agreements signed in October 2013 in their entirety. Liquefied Natural Gas Ltd (ASX:LNG) (OTCMKTS:LNGLY) has extended the validity period of its current binding engineering, procurement, and construction contract with KSJV (a KBR - SKE&C joint venture led by KBR) for its wholly owned subsidiary, Magnolia LNG, LLC. The binding lump sum turnkey EPC contract is now valid through December 31, 2017. Liquefied Natural Gas Ltd (ASX:LNG) (OTCMKTS:LNGLY) is pleased to provide the Company&apos;s latest Shareholder Presentation at Australia Road Show. The Board of Directors of Liquefied Natural Gas Limited (ASX:LNG) (OTCMKTS:LNGLY) has authorized the Company&apos;s management team to explore the possibility of redomiciling the Company to the United States of America along with a listing on either the New York Stock Exchange or NASDAQ. Liquefied Natural Gas Ltd (ASX:LNG) (OTCMKTS:LNGLY) is pleased to announce the appointment of Mr. John Baguley to Chief Operating Officer based in Houston, Texas effective June 16, 2017. Mr. Baguley joined the Company in May 2014 as Chief Operating Officer for Magnolia LNG and further expanded his responsibility to the role of Chief Technical Officer for LNGL in November 2015. Liquefied Natural Gas Limited&apos;s (ASX:LNG) (OTCMKTS:LNGLY) Chairman, Paul Cavicchi, Managing Director & CEO, Greg Vesey, and Chief Technical Officer, John Baguley, are conducting shareholder presentations in Perth, Melbourne and Sydney in June 2017. Liquefied Natural Gas Limited (ASX:LNG) (OTCMKTS:LNGLY) is pleased to advise that its wholly owned subsidiary, Magnolia LNG LLC has received Notice to Proceed from the Federal Energy Regulatory Commission to commence Initial Site Preparation activities for the Magnolia LNG project. 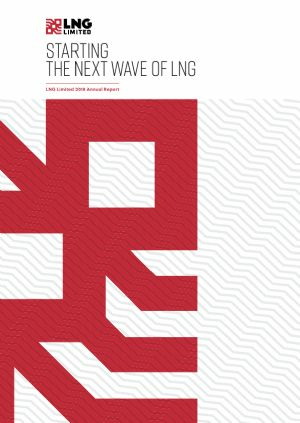 During this past quarter, Liquefied Natural Gas Limited (ASX:LNG) (OTCMKTS:LNGLY) unveiled its updated Vision, Mission, Values, and Strategy statement underpinning execution of our three-path strategy aimed at realizing our desire to be the world&apos;s premier provider of mid-scale LNG liquefaction solutions. Liquefied Natural Gas Ltd (ASX:LNG) (OTCMKTS:LNGLY) is pleased to provide the Company&apos;s latest Investor Presentation on Market Update. 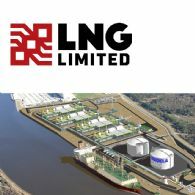 Liquefied Natural Gas Limited (ASX:LNG) (OTCMKTS:LNGLY) is pleased to advise that its wholly owned subsidiary, Magnolia LNG LLC has requested the Lake Charles Harbor and Terminal District proceed with finalizing the Ground Lease for the Magnolia LNG project located in the Port of Lake Charles, Louisiana, USA. Liquefied Natural Gas Limited (ASX:LNG) (OTCMKTS:LNGLY) invites shareholders and other interested parties to join a conference call with Greg Vesey (Managing Director & CEO of LNGL), Michael Mott (Chief Financial Officer of LNGL), and Anthony Gelotti (Chief Commercial Officer of LNGL). 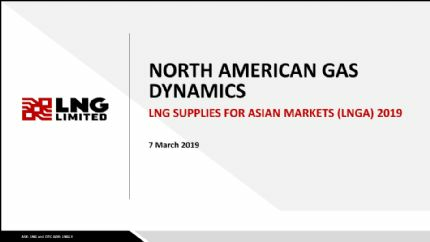 Liquefied Natural Gas Ltd (ASX:LNG) (OTCMKTS:LNGLY) is pleased to provide the Company&apos;s Stifel Investor Day Presentation. Liquefied Natural Gas Limited (ASX:LNG) (OTCMKTS:LNGLY) is pleased to advise that Transport Canada&apos;s TERMPOL Review Committee has completed the review of Bear Head LNG Corporation Inc.&apos;s TERMPOL report. The directors of Liquefied Natural Gas Ltd (ASX:LNG) (OTCMKTS:LNGLY) submit their report for the half-year ended 31 December 2016. Liquefied Natural Gas Ltd (ASX:LNG) (OTCMKTS:LNGLY) is pleased to advise that its 100% owned subsidiary, Magnolia LNG, LLC, has agreed with KSJV to further extend the validity period of the signed engineering, procurement, and construction contract through 30 June 2017. Liquefied Natural Gas Ltd (ASX:LNG) (OTCMKTS:LNGLY) is pleased to provide the Company&apos;s Quarterly Highlights and Appendix 4C for the period ended 31 December, 2016. 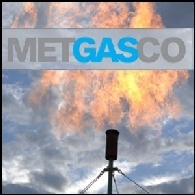 Liquefied Natural Gas Ltd (ASX:LNG) (OTCMKTS:LNGLY) is pleased to advise that its 100% owned subsidiary, Magnolia LNG, LLC, has signed a Heads of Agreement with Vessel Gasification Solutions, Inc. in relation to the Magnolia LNG Project, in Lake Charles, Louisiana, United States. Liquefied Natural Gas Limited (ASX:LNG) (OTCMKTS:LNGLY) advises that its wholly owned subsidiary, Magnolia LNG, LLC (Magnolia) is in the process of agreeing with KSJV (a KBR - SKE&C joint venture led by KBR) to extend the validity period of the current binding engineering, procurement, and construction (EPC) contract. Liquefied Natural Gas Limited (ASX:LNG) (OTCMKTS:LNGLY) (LNGL or the Company) is pleased to advise that Bear Paw Pipeline Corporation Inc. (Bear Paw), an indirect wholly owned subsidiary, has received its environmental assessment (EA) approval from Nova Scotia Environment for its natural gas pipeline. Liquefied Natural Gas Ltd (ASX:LNG) (OTCMKTS:LNGLY) are pleased to provide a Company Presentation by Managing Director Greg Vesey, at the CWC Seventeenth Annual World LNG Summit for 2016. Liquefied Natural Gas Ltd (ASX:LNG) (OTCMKTS:LNGLY) is pleased to advise that its 100% owned project company, Magnolia LNG, LLC and Meridian LNG Holdings Corp have agreed to further extend the financial close date condition precedent for Magnolia LNG from 31 December 2016 to 30 November 2017. Liquefied Natural Gas Ltd (ASX:LNG) (OTCMKTS:LNGLY) invites shareholders and other interested parties to join a conference call with Greg Vesey (Managing Director & CEO of LNGL), Michael Mott (Chief Financial Officer of LNGL) and John Baguley (Chief Operating Officer of Magnolia LNG and Chief Technical Officer of LNGL) to discuss the recent announcements from the US Federal Energy Regulatory Commission (FERC) and the US Department of Energy (DOE) about the Magnolia LNG Project. Liquefied Natural Gas Ltd (ASX:LNG) (OTCMKTS:LNGLY) is pleased to announce that the US Department of Energy has announced today its decision granting LNGL&apos;s Magnolia LNG Project authorization to export liquefied natural gas from the proposed facility in Lake Charles, Louisiana, USA to countries with which the United States has not entered into a free trade agreement. 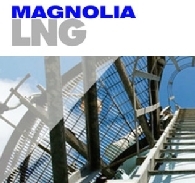 On April 15, 2016 the US Federal Energy Regulatory Commission granted Magnolia LNG, LLC, a wholly owned subsidiary of Liquefied Natural Gas Limited (ASX:LNG) (OTCMKTS:LNGLY) authority to site, construct, and operate new facilities at a proposed liquefied natural gas terminal in Calcasieu Parish, Louisiana for the liquefaction and export of natural gas. Subsequently, on May 16, 2016, Sierra Club filed a request for rehearing. Liquefied Natural Gas Ltd (ASX:LNG) (OTCMKTS:LNGLY) is pleased to provide the company&apos;s AGM Presentation held on 17 November 2016. 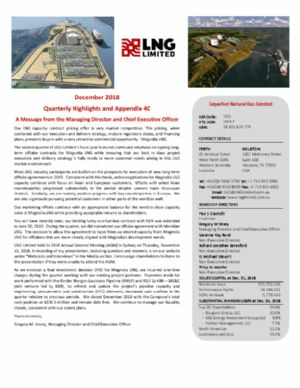 Liquefied Natural Gas Ltd (ASX:LNG) (OTCMKTS:LNGLY) is pleased to provide the company&apos;s latest Quarterly Highlights and Appendix 4C. Liquefied Natural Gas Ltd (ASX:LNG) (OTCMKTS:LNGLY) is pleased to provide the Company&apos;s latest Shareholder Presentation on October 11, 2016 at Lake Charles. Liquefied Natural Gas Limited&apos;s (ASX:LNG) (OTCMKTS:LNGLY) Managing Director & CEO, Greg Vesey, and CFO, Mike Mott, will be conducting an LNGL shareholder "Open House" meeting to update regional shareholders about the Magnolia LNG project in Louisiana, USA. Liquefied Natural Gas Ltd (ASX:LNG) (OTCMKTS:LNGLY) provides its latest presentation at North American Gas Forum held on 3 Oct 2016. Liquefied Natural Gas Ltd (ASX:LNG) (OTCMKTS:LNGLY) directors submit their report for the fiscal year ended 30 June 2016. The Board of Directors of Liquefied Natural Gas Ltd (ASX:LNG) (OTCMKTS:LNGLY) today announced that Mr Andrew Gould has been appointed to the position of Joint Company Secretary following the departure of Mr David Gardner. Mr Gould&apos;s new role is in addition to his existing role as Group Development Manager. Liquefied Natural Gas Limited (ASX:LNG) (OTCMKTS:LNGLY) has appointed Non-Executive Director Mr Paul Cavicchi as chairman of the LNGL Board effective at the close of the Annual General Meeting on 17 November 2016. The current Chairman, Mr Richard Beresford, will step down as Chairman and remain on the LNGL Board as Non-Executive Director. 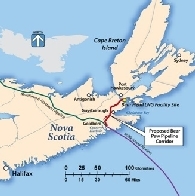 Bear Paw Pipeline Corporation Inc, an indirect wholly owned subsidiary of Liquefied Natural Gas Limited (ASX:LNG) (OTCMKTS:LNGLY), is pleased to announce that it received Nova Scotia Utility and Review Board approval to construct a 62.5 km natural gas pipeline from Goldboro to the proposed Bear Head LNG liquefied natural gas export facility in Point Tupper, Richmond County, Nova Scotia. Liquefied Natural Gas Ltd (ASX:LNG) (OTCMKTS:LNGLY) are pleased to provide the Company&apos;s latest Shareholder Presentations for the 25th - 28th July 2016 in Sydney, Melbourne and Perth. Liquefied Natural Gas Limited&apos;s (ASX:LNG) (OTCMKTS:LNGLY) focus continues to be threefold: complete marketing of Magnolia LNG&apos;s offtake capacity to progress this project through financing and into construction; finalize Bear Head LNG regulatory permitting, engineering, and the marketing of liquefaction tolling capacity; and preserving our existing liquidity through effective cash management. Liquefied Natural Gas Ltd&apos;s (ASX:LNG) (OTCMKTS:LNGLY) wholly owned subsidiary Bear Head LNG Corporation Inc. is pleased to announce it has received Nova Scotia Environment&apos;s approval for its Greenhouse Gas Management Plan for its liquefied natural gas facility on the Strait of Canso in Richmond County, Nova Scotia. 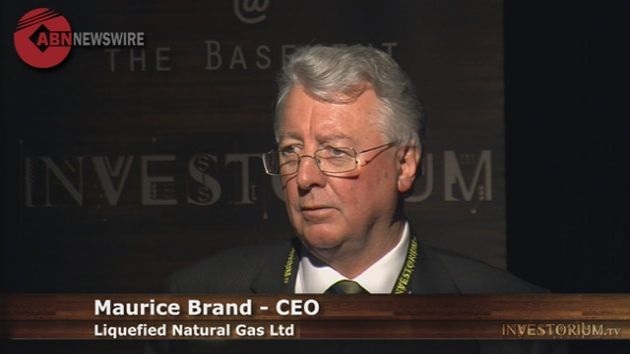 Liquefied Natural Gas Limited&apos;s (ASX:LNG) (OTCMKTS:LNGLY) (LNGL or the Company) Chairman, Richard Beresford, and Managing Director & CEO, Greg Vesey, are conducting shareholder presentations in Sydney, Melbourne and Perth in July 2016. Bear Head LNG Corporation, Inc. (ASX:LNG) (OTCMKTS:LNGLY) is pleased to announce it has received Governor in Council approval for a licence to import natural gas from the United States and a licence to export liquefied natural gas (LNG) from Bear Head LNG&apos;s project site on the Strait of Canso in Richmond County, Nova Scotia. Liquefied Natural Gas Ltd (ASX:LNG) (OTCMKTS:LNGLY) are pleased to provide the Company&apos;s New York Investor Roadshow presentation that will be provided to investors. The Roadshow will be held between 8-10 June 2016. Liquefied Natural Gas Ltd (ASX:LNG) (OTCMKTS:LNGLY) are pleased to provide the Company&apos;s Quarterly Activities Report for March 2016. Liquefied Natural Gas Limited (ASX:LNG) (OTCMKTS:LNGLY) is pleased to advise that its wholly owned subsidiary, Magnolia LNG LLC (Magnolia) has agreed with KSJV to extend the validity period of the signed engineering, procurement, and construction (EPC) contract price through 31 December 2016. Liquefied Natural Gas Limited (ASX:LNG) (OTCMKTS:LNGLY) is pleased to advise that Magnolia LNG, received the Federal Energy Regulatory Commission authorization to site, construct, and operate facilities to liquefy and export domestically produced natural gas from its liquefied natural gas terminal. Liquefied Natural Gas Limited (LNGL) (ASX:LNG) (OTCMKTS:LNGLY) is pleased to announce the appointment of Mr. Gregory M Vesey as Managing Director and Chief Executive Officer of the Company effective April 4, 2016, based in Houston, Texas. Mr. Vesey succeeds Company founder Mr. Maurice Brand who will continue as an Executive Director. Bear Paw Pipeline Corporation, an indirect wholly owned subsidiary of Liquefied Natural Gas Limited (LNGL) (ASX:LNG) (OTCMKTS:LNGLY), is pleased to announce that today it has registered its Environmental Assessment (EA) with Nova Scotia Environment. 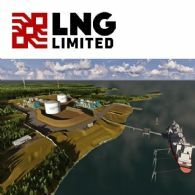 Liquefied Natural Gas Limited (ASX:LNG) (OTCMKTS:LNGLY) announced that its 100% owned subsidiary, Bear Head LNG Corporation, Inc. today reached an agreement to purchase additional land from Nova Scotia Business Inc.
Liquefied Natural Gas Limited (ASX:LNG) (OTCMKTS:LNGLY) today announced that it has extended the FLLNG Site Agreement for Lease with the Gladstone Ports Corporation. Maurice Brand, Managing Director and Chief Executive Officer of Liquefied Natural Gas Limited (ASX:LNG) (OTCMKTS:LNGLY), the parent company to Bear Head LNG Corporation and Bear Head LNG (USA), LLC, today announced a transition in project management of the Company&apos;s liquefied natural gas export facility under development in Nova Scotia. Liquefied Natural Gas Limited (ASX:LNG) (OTCMKTS:LNGLY) holds a strong competitive position in the mid-scale LNG industry with our three LNG projects: Magnolia LNG, in Lake Charles, Louisiana, USA; Bear Head LNG in Richmond County, Nova Scotia, Canada; and Fisherman&apos;s Landing LNG, in Queensland, Australia. Liquefied Natural Gas Ltd (ASX:LNG) (OTCMKTS:LNGLY) is pleased to advise that its 100% owned project company, Magnolia LNG, LLC (Magnolia) and Meridian LNG Holdings Corp (Meridian LNG) have agreed to extend the financial close date condition precedent for Magnolia LNG from 30 June 2016 to 31 December 2016. Liquefied Natural Gas Ltd (ASX:LNG) (OTCMKTS:LNGLY) provide the companies latest Investor Presentation "Clarksons Platou". The company has identified a new opportunity funnel in the "mid scale market" with a "North American focus". Liquefied Natural Gas Limited (ASX:LNG) (OTCMKTS:LNGLY) (LNGL or the Company) is pleased to announce the appointment of Philip D Moeller as a Non-Executive Director of LNGL with effect from 7 December 2015. Liquefied Natural Gas Limited (ASX:LNG) (OTCMKTS:LNGLY) is pleased to announce the appointment of Mr Anthony Gelotti as Chief Development Officer based in Houston, Texas, USA. Mr John Baguley, Chief Operating Officer for Magnolia LNG will assume the additional responsibilities of LNGL Chief Technical Officer. Liquefied Natural Gas Ltd (ASX:LNG) announce the AGM Presentation with recent milestones validating our strategy. Liquefied Natural Gas Limited (ASX:LNG) (OTCMKTS:LNGLY) and Magnolia LNG LLC are pleased to announce that the United States Federal Energy Regulatory Commission issued the Final Environmental Impact Statement for the Magnolia LNG project in Lake Charles, Louisiana, and the associated Kinder Morgan Louisiana Pipeline (KMLP) Lake Charles Expansion Project on 13 November 2015. 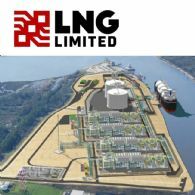 Liquefied Natural Gas Limited (ASX:LNG) (OTCMKTS:LNGLY) is pleased to advise that its wholly owned subsidiary, Magnolia LNG LLC, has agreed a legally binding lump sum turnkey (LSTK) engineering, procurement and construction contract (EPC Contract) with the KBR-SKE&C joint venture in relation to the Magnolia LNG project. Liquefied Natural Gas Ltd (ASX:LNG) (OTCMKTS:LNGLY) are pleased to provide the Company&apos;s Annual Report 2015 - Shareholders&apos; Version. 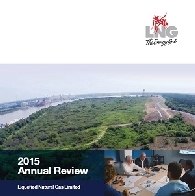 Liquefied Natural Gas Ltd (ASX:LNG) (OTCMKTS:LNGLY) are pleased to provide the Company&apos;s Annual Report 2015. Liquefied Natural Gas Ltd (ASX:LNG) are pleased to provide a status update on the Magnolia LNG project. Highlights include, The FERC&apos;s DEIS comment period expired on 8 September 2015; LNGL and KSJV have agreed a schedule to conclude pricing negotiations and subsequent signing of the turnkey EPC contract; Marketing of binding offtake agreements for 6 mtpa of Magnolia LNG. Liquefied Natural Gas Limited (ASX:LNG) (OTCMKTS:LNGLY) is pleased to advise that it is entering into two additional key supplier alliance agreements with Siemens Energy Inc. and EthosEnergy Group, respectively. These agreements call for LNGL to work collaboratively with both Siemens and EthosEnergy on current and future Company projects. Liquefied Natural Gas Limited (ASX:LNG) (OTCMKTS:LNGLY) is pleased to announce the appointment of Ms Kinga Doris as General Counsel and Joint Company Secretary. Ms Doris will take up her appointment in early September 2015, based in Houston, Texas, USA. The Directors of Liquefied Natural Gas Limited (ASX:LNG) (OTCMKTS:LNGLY) are pleased to advise that Canada&apos;s National Energy Board (NEB) has granted Bear Head LNG Corporation and Bear Head LNG (USA) authorization to export liquefied natural gas (LNG) from Bear Head LNG&apos;s project site on the Strait of Canso in Nova Scotia. Liquefied Natural Gas Ltd (ASX:LNG) Global Alliance With Chart Industries, Inc.
Liquefied Natural Gas Limited (ASX:LNG) (OTCMKTS:LNGLY) is pleased to advise that it is entering into a supplier alliance agreement with Chart Industries, Inc. through Chart&apos;s wholly owned subsidiary, Chart Energy & Chemicals, Inc.
Liquefied Natural Gas Ltd (ASX:LNG) (OTCMKTS:LNGLY) is pleased to advise that its 100% owned project company, Magnolia LNG, LLC, has signed a legally binding agreement with Meridian LNG Holdings Corp for firm capacity rights for up to 2 million tonnes per annum. Liquefied Natural Gas Limited (ASX:LNG) (OTCMKTS:LNGLY) announce that the U.S. Department of Energy (DOE) granted Bear Head LNG Corporation and Bear Head LNG (USA), LLC (together Bear Head LNG) authorization to export up to 440 billion cubic feet (Bcf) per year of U.S. natural gas to Canada, and up to 8mtpa of liquefied natural gas (LNG) from Canada to free trade agreement (FTA) countries. Liquefied Natural Gas Limited (ASX:LNG) (OTCMKTS:LNGLY) announce that the United States Federal Energy Regulatory Commission (FERC) issued the Draft Environmental Impact Statement (DEIS) for the Magnolia LNG project on Friday, 17 July 2015. The DEIS is a critical milestone for the Magnolia LNG project, incorporating comments from FERC and other cooperating federal agencies. Bear Head LNG Corporation (Bear Head LNG, a 100% subsidiary of Liquefied Natural Gas Limited (ASX:LNG) (OTCMKTS:LNGLY) announced yesterday that it has received approval from the Nova Scotia Department of Environment (NSE) for its updated provincial Environmental Assessment for the development of an 8 mtpa LNG export facility in Point Tupper, Nova Scotia. Liquefied Natural Gas Limited (ASX:LNG) (OTCMKTS:LNGLY) announces a placement of 40 million fully paid ordinary shares in the capital of LNGL, which has raised A$174 million before costs. 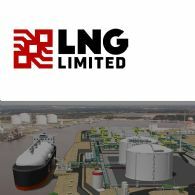 Liquefied Natural Gas Limited (ASX:LNG) (OTCMKTS:LNGLY) (the Company) is pleased to advise that its wholly owned subsidiary, Magnolia LNG LLC (MLNG) has taken two significant steps in readiness for the engineering, procurement, construction and commissioning (EPCC) phase of the Magnolia LNG Project to be located in Lake Charles, Louisiana, USA. The Directors of Liquefied Natural Gas Limited (ASX:LNG) (OTCMKTS:LNGLY) are pleased to advise that the Company, consistent with its announcement on 25 February 2015, has been granted a patent in the United States for its OSMR(R) Process technology. The Directors of Liquefied Natural Gas Limited (ASX:LNG) (OTCMKTS:LNGLY) are pleased to advise that the United States Federal Energy Regulatory Commission (FERC) has issued the Notice of Schedule for Environmental Review (SER) for the Company&apos;s Magnolia LNG Project, setting November 16, 2015 as the anticipated date for issuance of the project&apos;s final environmental impact statement (FEIS). Liquefied Natural Gas Limited (ASX:LNG) (OTCMKTS:LNGLY) Shareholder Presentation to create wealth for our shareholders by delivering competitive and innovative LNG projects in key markets throughout the world. Liquefied Natural Gas Limited (ASX:LNG) (OTCMKTS:LNGLY) (LNGL or the Company) is conducting a shareholder presentation in Melbourne and Sydney. Liquefied Natural Gas Limited (ASX:LNG) (OTCMKTS:LNGLY) today announced that its 100% owned subsidiary, Bear Head LNG Corporation, has filed an updated registration document with Nova Scotia Environment. The Queensland Government&apos;s Department of Natural Resources and Mines extended the dates for completion of the FLLNG Project construction under Petroleum Facility Licence No. 18 (PFL 18) and the Petroleum Pipeline Licence No. 161 (PPL 161). The Directors of Liquefied Natural Gas Limited (ASX:LNG) (OTCMKTS:LNGLY) wish to provide a general update on the development progress of its 8 million tonne per annum Magnolia LNG Project, in Louisiana, United States of America. Liquefied Natural Gas Limited (ASX:LNG) (OTCMKTS:LNGLY) wishes to provide an update on the status of Environmental Impact Statements due to be issued from the United States Federal Energy Regulatory Commission in relation to the Company&apos;s wholly owned subsidiary, Magnolia LNG LLC. 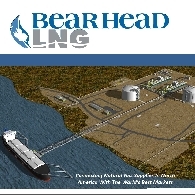 Liquefied Natural Gas Limited (ASX:LNG) (OTCMKTS:LNGLY) wishes to announce that its wholly owned subsidiary, Bear Head LNG Corporation (Bear Head LNG) has received a permit to construct its proposed 8 mtpa LNG project from the Nova Scotia Utility and Review Board. During the half-year to 31 December 2014, Liquefied Natural Gas Limited (ASX:LNG) continued to progress its 100% owned LNG projects in the United States, Canada and Australia. The Directors of Liquefied Natural Gas Limited ("Company") (ASX:LNG) (OTCMKTS:LNGLY) are pleased to provide an update to an announcement on 16 January 2015 on United States Patent and Trademark Office ("USPTO") patent application relating to the Company&apos;s core LNG processing design. Liquefied Natural Gas Limited (ASX:LNG) (OTCMKTS:LNGLY) is pleased to announce the appointment of D. Michael Steuert as a Non-Executive Director of LNG Limited with effect from 9 February 2015. Mike is the Company&apos;s second US-based Non-Executive Director following the appointment of Houston-based Paul Cavicchi in October 2014. Liquefied Natural Gas Limited (ASX:LNG) (OTCMKTS:LNGLY) is pleased to advise that its wholly owned subsidiary, Magnolia LNG LLC (MLNG), has completed the staffing of it&apos;s senior management team through the appointment of experienced LNG industry personnel to the final two open positions. The Directors of Liquefied Natural Gas Limited (ASX:LNG) (OTCMKTS:LNGLY) are pleased to announce that the United States Patent and Trademark Office has allowed a patent application related to the Company&apos;s core LNG processing design. Liquefied Natural Gas Limited&apos;s (ASX:LNG) (OTCMKTS:LNGLY) Mission is to create wealth for our shareholders by delivering competitive and innovative LNG projects in key markets throughout the world. Liquefied Natural Gas Limited (ASX:LNG) (OTCMKTS:LNGLY) wishes to provide an update on the status of Information Requests from the United States Federal Energy Regulatory Commission in relation to the Company&apos;s wholly owned subsidiary, Magnolia LNG LLC. Liquefied Natural Gas Limited (ASX:LNG) (OTCMKTS:LNGLY) is pleased to advise that its wholly owned subsidiary, Magnolia LNG LLC, has executed a Technical Services Agreement with Kellogg Brown & Root LLC, a wholly owned subsidiary of KBR, Inc. to undertake cost verification and provide other services supporting MLNG project delivery. Liquefied Natural Gas Limited (ASX:LNG) (OTCMKTS:LNGLY) wishes to provide an update on the status of Information Requests from the United States Federal Energy Regulatory Commission (FERC) in relation to the Company&apos;s wholly owned subsidiary, Magnolia LNG LLC (MLNG). Liquefied Natural Gas Limited (ASX:LNG) (OTCMKTS:LNGLY) is pleased to advise that its wholly owned subsidiary, Bear Head LNG Corporation (Bear Head LNG), has filed an application with the US Department of Energy (DOE) for authorisation to export natural gas to Canada for a 25 year period. Liquefied Natural Gas Limited (ASX:LNG) (OTCMKTS:LNGLY) is pleased to advise that its wholly owned subsidiary, Magnolia LNG LLC (MLNG), has agreed to an EPC contract with SK E&C USA (EPC Contract) in relation to the Company&apos;s Magnolia LNG Project. Liquefied Natural Gas Limited (ASX:LNG) (OTCMKTS:LNGLY) wishes to provide an update on the status of Environmental Information Requests from the Federal Environmental Regulatory Commission in relation to the Company&apos;s wholly owned subsidiary, Magnolia LNG LLC. Liquefied Natural Gas Limited (ASX:LNG) (OTCMKTS:LNGLY) wishes to announce that its wholly owned subsidiary, Bear Head LNG Corporation (Bear Head LNG) has filed an application with Canada&apos;s National Energy Board (NEB) for an export license for up to 12 million tonnes per year of liquefied natural gas. Liquefied Natural Gas Limited (ASX:LNG) provide the Quarterly Report for the period ending September 2014. Liquefied Natural Gas Limited (ASX:LNG) (OTCMKTS:LNGY) wishes to announce that on 31 October 2014, its wholly owned company Bear Head LNG Corporation (Bear Head LNG), filed for modifications to the existing construction and environmental permits granted by the Nova Scotia Utility and Review Board and Nova Scotia Environment. The Company plans to apply a similar tolling business model for FLLNG to that applied for its Magnolia LNG and Bear Head LNG projects in North America. Under this model, the Company takes no commodity risk and receives a fee to provide all liquefaction and LNG storage services. Liquefied Natural Gas Limited (ASX:LNG) Bear Head LNG Project Presentation including an update on the construction status. Liquefied Natural Gas Limited&apos;s (ASX:LNG) Mission is to create wealth for our shareholders by delivering competitive and innovative LNG projects in key markets throughout the world. Liquefied Natural Gas Limited (ASX:LNG) (OTCMKTS:LNGLY) announces the appointment of Michael R. Mott (Mike) as Chief Financial Officer (CFO) of LNGL. Based in Houston, Texas, Mike will take up his appointment effective 1 October 2014. Liquefied Natural Gas Limited (ASX:LNG) (OTCMKTS:LNGLY) advises that the Employment Agreement for the current Managing Director and Chief Executive Officer, Mr F Maurice Brand has been extended to 30 June 2017. Liquefied Natural Gas Limited (ASX:LNG) (OTCMKTS:LNGLY) today announced that its 100% owned subsidiary, Gladstone LNG Pty Ltd (GLNG), has received a one month extension of the site lease at Fisherman&apos;s Landing at the Port of Gladstone in Queensland, Australia, from the Gladstone Ports Corporation to 31 October 2014. Liquefied Natural Gas Limited (ASX:LNG) (OTCMKTS:LNGLY) advises the appointment of Paul J. Cavicchi as a Non-Executive Director of the Company with effect from 1 October 2014. 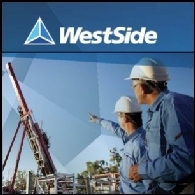 The Company raised A$38.6 million (pre-costs) from US and Australasian institutional investors to primarily fund the acquisition and the development of Bear Head LNG Project. Following an announcement by S&P Dow Jones Indices on 5 September 2014, Liquefied Natural Gas Limited (ASX:LNG) (OTCMKTS:LNGLY) is pleased to announce that the Company has been included in the S&P/ASX 200 Index and S&P/ASX 300 Index, as well as the S&P/ASX All Australian Index. Liquefied Natural Gas Limited (ASX:LNG) (OTCMKTS:LNGLY) announces that it will be changing its current Sponsored Level 1 American Depositary Receipt ratio effective 23 September 2014. 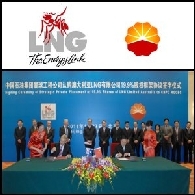 During the financial year ending 30 June 2014, Liquefied Natural Gas Limited (ASX:LNG) (OTCMKTS:LNGLY) has made significant steps towards the delivery of its vision to create wealth for our shareholders by progressing the development of competitive and innovative LNG projects in key markets throughout the world. Liquefied Natural Gas Limited (ASX:LNG) (OTCMKTS:LNGLY) is pleased to provide an update on the Federal Energy Regulatory Commission (FERC) process and progress with respect to its application for all necessary permits and approvals for the development of its planned 8 mtpa Magnolia LNG project. Liquefied Natural Gas Limited (ASX:LNG) (OTCMKTS:LNGLY) is pleased to announce that its wholly owned subsidiary, Magnolia LNG LLC, has appointed three experienced key management executives to join the current Magnolia LNG project execution team. Liquefied Natural Gas Limited (ASX:LNG) (OTCMKTS:LNGLY) (Company) is pleased to advise that Foster Stockbroking Pty Ltd has provided research coverage on the Company. 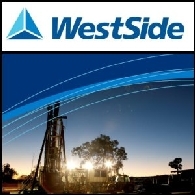 Liquefied Natural Gas Limited (ASX:LNG) (OTCMKTS:LNGLY) is conducting a series of shareholder presentations in Perth, Melbourne, Sydney and Brisbane from 23 September to 1 October 2014. Liquefied Natural Gas Limited (ASX:LNG) (OTCMKTS:LNGLY) today announced that it has finalised the acquisition of 100% of Bear Head LNG Corporation (BHLC). The Directors of Liquefied Natural Gas Limited (ASX:LNG) (OTCMKTS:LNGLY) (Company) are pleased to advise that the United States Department of Energy (DOE) has revised procedures for processing applications to export LNG to non-Free Trade Agreement (Non-FTA) countries. The Directors of Liquefied Natural Gas Limited (ASX:LNG) (OTCMKTS:LNGLY) are pleased to announce that the Company has been issued its second and final Canadian Patent from the Canadian Intellectual Property Office in Canada. 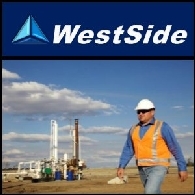 Liquefied Natural Gas Limited (ASX:LNG) (OTCMKTS:LNGLY) Quarterly Report June 2014 with significant highlights for the quarter. The Directors of Liquefied Natural Gas Limited (ASX:LNG) (OTCMKTS:LNGLY) (LNGL or the Company) advise that the Company has raised A$38.6 million (before costs) via a placement of 14,873,186 ordinary shares at A$2.60 to US and Australasian institutional investors (Placement). Liquefied Natural Gas Limited (ASX:LNG) (OTCMKTS:LNGLY) today announced that it has significantly expanded its presence in the North American Liquefied Natural Gas (LNG) sector by signing an agreement to acquire 100% of Bear Head LNG Corporation (BHLC) from a subsidiary of Anadarko Petroleum Corporation (Anadarko) for US$11.0 million. Liquefied Natural Gas Limited (ASX:LNG) (OTCMKTS:LNGLY) is pleased to advise that its wholly owned subsidiary, Magnolia LNG LLC, has executed an EPC Contract Term Sheet with SK E&C USA in relation to the first phase of the Company&apos;s Magnolia LNG Project. 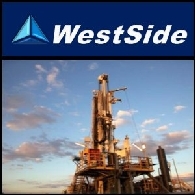 Liquefied Natural Gas Limited (ASX:LNG) (OTCMKTS:LNGLY) advises that the Gladstone Ports Corporation Limited (GPC) has granted a three month extension to the site agreement to lease at LNGL&apos;s Fisherman&apos;s Landing LNG project on the mainland at Gladstone Queensland, Australia, from 30 June 2014 to 30 September 2014. The extension follows a nameplate capacity of 1.9 mtpa. Liquefied Natural Gas Limited (ASX:LNG) (OTCMKTS:LNGLY) is pleased to advise that Foster Stockbroking Pty Ltd has provided research coverage on the Company. Investment Highlights: Magnolia fully funded to Financial Close;US institutional investors get set;DOE changes to granting non-FTA catalyst for re-rating;FERC filing acceptance upgrades LNG buyers and investors. The Directors of Liquefied Natural Gas Limited (ASX:LNG) (OTCMKTS:LNGLY) (Company) advise that ASX Compliance Pty Ltd (ASX) has decided to grant a waiver of ASX Listing Rule 14.7 on the voting exclusion statement in the Company&apos;sNotice of Meeting dated 15 May 2014 that relates to the next general meeting of shareholders on 16 June 2014. Liquefied Natural Gas Limited (ASX:LNG) (OTCMKTS:LNGLY) advises that on 29 May 2014 the United States Department of Energy (DOE) announced proposed changes to the procedures it will use to process applications to export LNG to non-free trade agreement (non-FTA) countries. Liquefied Natural Gas Limited (ASX:LNG) (OTCMKTS:LNGLY) provides their company investor presentation. Directors of Liquefied Natural Gas Limited (ASX:LNG) (OTCMKTS:LNGLY) advise that China Huanqiu Contracting and Engineering Corporation (HQC) has sold 43.25million of its shares in the Company. Following the sale, HQC will continue to hold 10million shares and will no longer be a substantial shareholder. The shares have been placed with US and AU institutional investors including Third Point LLC. Notice is hereby given that a general meeting of Shareholders of Liquefied Natural Gas Limited (ASX:LNG) (OTCMKTS:LNGLY) will be held at The Celtic Club, 48 Ord Street, West Perth, Western Australia (upstairs), on 16 June 2014 at 11am (WST) (Meeting). Liquefied Natural Gas Limited (ASX:LNG) (OTCMKTS:LNGLY) (the Company) advises that the US Federal Energy Regulatory Commission (FERC) has formally accepted Magnolia LNG (MLNG) Project&apos;s filing application. Liquefied Natural Gas Limited (ASX:LNG) (OTCMKTS:LNGLY) has issued a total of 31,207,254 fully paid ordinary shares to US and Australian institutional investors (Placement). 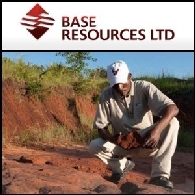 The Placement was completed on 13 May 2014 and announced to the market on 5 May 2014. Liquefied Natural Gas Limited (ASX:LNG) (OTCMKTS:LNGLY) is pleased to advise that Merlin Advisors, LLC has been appointed as the Lenders&apos; Engineer for the Company&apos;s 8 million tonne per annum Magnolia LNG Project development, in Lake Charles, Louisiana, United States. Liquefied Natural Gas Limited (ASX:LNG) (OTCMKTS:LNGLY) advises that it has raised A$49.5 million with a placement of 90 million ordinary shares at A$0.55 to US and Australian institutional investors (Placement). Liquefied Natural Gas Limited (ASX:LNG) (OTCMKTS:LNGLY) advises that its wholly owned subsidiary, Magnolia LNG, LLC, has filed an application with the US Federal Energy Regulatory Commission (FERC) seeking authorisation for the siting, construction, ownership and operation of the proposed Magnolia LNG Project. 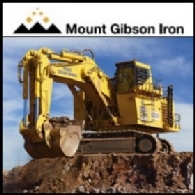 The Company continues to make significant progress in relation to its proposed MLNG Project. The Directors of Liquefied Natural Gas Limited (ASX:LNG) (OTCMKTS:LNGLY) (Company) wish to provide a general update on the development progress of its wholly owned 8 million tonnes per annum (mtpa) Magnolia LNG Project (MLNG Project), in Lake Charles, Louisiana, United States of America (US). Liquefied Natural Gas Limited (ASX:LNG) (the Company) is pleased to advise that Magnolia LNG, LCC (MLNG), its 100% owned subsidiary, has executed a Technical Services Agreement (TS Agreement) with SK E&C USA, Inc, a wholly owned subsidiary of SK Engineering and Construction Co. Ltd., of Korea (SKEC Group). 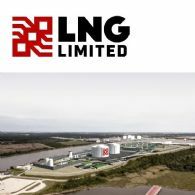 Liquefied Natural Gas Limited (ASX:LNG) (OTCMKTS:LNGLY) is pleased to announce the appointment of John G. Baguley as Chief Operating Officer and Rick R. Cape as Chief Commercial Officer for the Company&apos;s wholly owned subsidiary Magnolia LNG, LLC (MLNG), which is based in Houston, USA. Liquefied Natural Gas Limited (ASX:LNG) (OTCMKTS:LNGLY) is pleased to advise that Edison Investment Research (Edison) has initiated research coverage on the Company. LNG Limited (ASX:LNG) (OTCMKTS:LNGLY) is a Liquefied Natural Gas ("LNG") developer with a focus on developing LNG projects utilising its wholly-owned OSMR(TM) LNG technology, provides the company&apos;s latest presentations on the Magnolia LNG Project in Louisiana USA. Liquefied Natural Gas Limited (ASX:LNG) (Company) is pleased to announce it has completed an equity placement (Placement) of 10 million new fully paid ordinary shares at $0.42 per share to institutional and sophisticated investors in Australia. The Directors of Liquefied Natural Gas Limited (ASX:LNG) are pleased to advise that the United States Department of Energy (DOE), has granted authorisation for Magnolia LNG, LLC (wholly owned by the Company), to export an additional 4 million tonnes per annum (mtpa) of LNG, from its proposed LNG project site at the Port of Lake Charles, Louisiana (Magnolia LNG Project). Liquefied Natural Gas Limited (ASX:LNG) is pleased to advise that Magnolia LNG LLC (MLNG), its 100% owned subsidiary, has executed a non-binding Tolling Agreement Term Sheet (Agreement), with AES Latin American Development, Ltd (AES) which is a wholly owned subsidiary of The AES Corporation Group (NYSE:AES). Australian Market Report of February 25, 2011 includes: Base Resources Limited (ASX:BSE) announced an updated JORC-compliant Resource estimate for the Kwale Mineral Sands Project in Kenya; Liquefied Natural Gas Limited (ASX:LNG) has received environmental approval to build a 21 km gas pipeline; Sun Resources NL (ASX:SUR) is on-track to complete farm-in on a conventional gas well in north-west Europe; Venturex Resources Limited (ASX:VXR) has completed the acquisition of Panorama Cu-Zn Deposit located in Western Australia. Australian Market Report of January 28, 2011 includes: Liquefied Natural Gas Limited (ASX:LNG) form strategic partnership with China Huanqiu Contracting & Engineering Corporation; PT ANTAM (Persero) Tbk (ASX:ATM) acquire Sarolangun Coal Mine in Indonesia; Drake Resources Limited (ASX:DRK) reported high gold grades sampling from Mauritania; Horseshoe Metals Limited (ASX:HOR) announced highly encouraging results from Horseshoe Lights Cu-Au project in Western Australia. 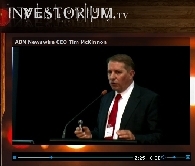 Video is now available on the Clean Global Energy (ASX:CGV) website, showing company Chairman and Managing Director, John Harkins, and his contribution to a panel discussion on the topic of the future of coal at the Australian Financial Review&apos;s National Energy Conference in Sydney on September 15. Australian Market Report of September 27, 2010 includes; Metgasco Limited (ASX:MEL) have considered a floating Liquefied Natural Gas (LNG) project and has commenced feasibility studies, Tap Oil Limited (ASX:TAP) has advised that the onshore exploration well, Markisa-1 in Block M, Brunei Darussalam spudded yesterday, Centaurus Metals Limited (ASX:CTM) has reported it is on track for initial Jambreiro resource, following strong drilling results and United Uranium Limited (ASX:UUL) has signed a Term Sheet with Shandong No.1 Institute of Geology and Minerals Exploration ("SDGM"). 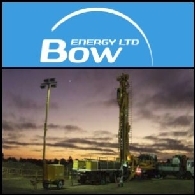 Bow Energy Limited (ASX:BOW) (PINK:BOWYF) wish to provide an update to the market regarding discussions between Bow Energy and Liquefied Natural Gas Ltd (ASX:LNG). 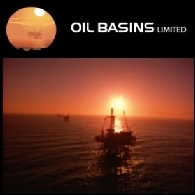 Oil Basins Limited (ASX:OBL) and Liquefied Natural Gas Limited (ASX:LNG) (PINK:LNGLF) have signed a non-exclusive Strategic Alliance Agreement (SAA) in respect of natural gas, coal seam gas and shale gas in the Canning Basin, Western Australia for the purpose of evaluation and the appropriate development of projects and in particular an LNG production facility in the Canning Basin Region using feedstock from OBL. The Australian shares were stronger after an unexpectedly improved employment data. The market was also helped by a rise in Rio Tinto shares on expectation that it would follow its BHP Billiton in reporting upbeat earnings. At the close, the benchmark S&P/ASX200 index closed 40.9 points, or 0.91 per cent higher, at 4554.3 points while the broader All Ordinaries index rose 42.8 points, or 0.94 per cent, to 4575.8 points.